I was recently curious on how to create an open-source project from scratch and release it on Maven Central. I’m going to explain in this post how to create and release your first Java open-source project. I’m going to go through all the steps from creating the source repository, building the project using Continuous Integration, testing the code coverage and finally uploading a release on Maven Central. No server is required to build the project, nor to publish it. Every tool used here is absolutely free, and most of them are open-source. First, we need to store the source code of our open-source project using an SCM. Now, we need to clone the Git repository on our local machine to be able to push our source code to Github. You will need to generate SSH keys to complete this step. At this point, you have a working Git repository on Github and you can pull/push modifications to this repository using your generated SSH key. In this example, i’m going to explain how to publish a Java project build with Maven. This section supposes you have already some knowledge about using Maven. Sonatype is maven central repository which makes our Maven artifacts available to the world. By uploading our released artifacts there, everyone will be able to use them as a dependency in Maven compatible projects. We are going to deploy the maven artifacts to Sonatype: create a Sonatype account. Now, create a Jira ticket to ask the validation of your groupId. In my case, my groupId is com.jeromeloisel. The OSSRH Guide explains how and why this is necessary to allow you to release artifacts to Sonatype. Once this is done (usually within 2 days), you are now able to upload maven artifacts to Maven Central through Sonatype. 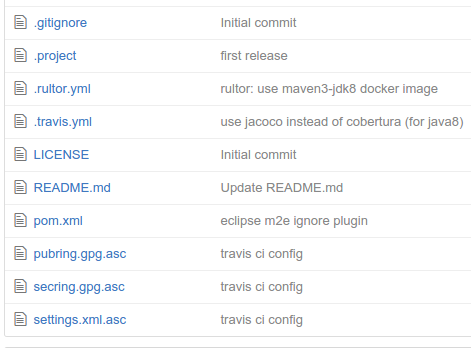 Open-source projects published on Maven central must conform to some requirements. For example, you need to publish the Javadoc and Source artifacts. You also need to sign the uploaded artifacts with GPG. Don’t be afraid, it’s easy! First, check the POM requirements and make sure you project’s POM conforms to it. You should end up with 2 files: pubring.gpg and secring.gpg. These files are your public and secret GPG keys which will be used to sign the released maven artifacts. Sonatype username and password: supply your Sonatype account access. These files will be necessary in the next steps to setup project build and release. We haven’t talked about how we are going to build our source project, aka create JAR from sources. For this step, we are going to use TravisCI. TravisCI is great because it seamlessly integrates with Github. We could have used Jenkins but this would have required to setup a machine to build the project. This tells TravisCI your project is a Java project, and must be built using Java8. Create a .travis.yml file at the root of your project with the content above if you are using Java8 too. For further TravisCI configuration, see Building with Java. TravisCI assumes your project uses Maven and will automatically execute the right command to launch the unit tests. 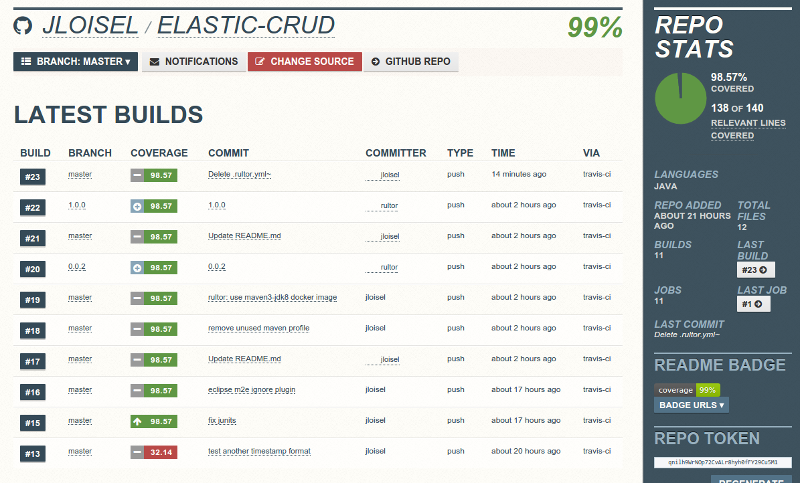 The screenshot above shows Elastic-crud, an open-source project which is built using TravisCI. TravisCI builds your project automatically each time you push modifications to the git repository. 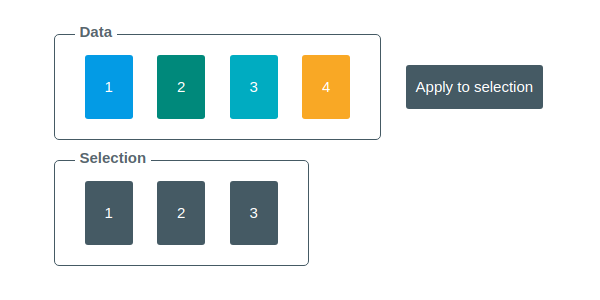 It can do even more like automatically merge pull requests. Now we have a project with source available on GitHub, builds done by TravisCI and a valid Sonatype account to publish the artifacts on Maven central. So, what’s missing? We need now a way to easily publish the artifacts on Maven central. Rultor is a Devops online tool which can release our source code. It fetches our source-code from GitHub, builds it and then releases it to Maven Central. First, we need to provide Rultor a few configuration files to allow him to fetch our sources and release them. You remember the three files created before? Replace name/project with your Github username and Github git repository name. In my case, it was jloisel/elastic-crud. Then, put the encrypted files at the root of your source repository. These files allow rultor to sign your artifacts using your GPG key and publish them to Sonatype. To allow Rultor to tag the source code with the released version, you will need to add Rultor as a Collaborator of your project. This configuration file tells Rultor where to find the encrypted configuration files, how to release on Maven Central and finally create a git tag and release on GitHub. That’s a lot of things done with minimal configuration! The maven profile elastic-crud is needed to activate the gpg signature. It has to match with the id provided in the settings.xml we previously encrypted. Make sure to use the latest version. If you don’t want to use JCabi parent pom, you will need to setup GPG plugin, Versions plugin and Deploy plugin. Needless to say, it’s way easier to stick with preconfigured JCabi parent. It’s always nice to show your users your code is well tested. 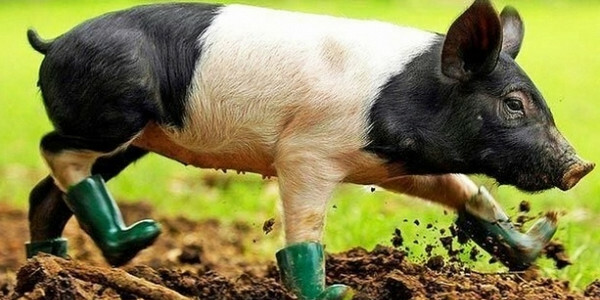 Coveralls.io integrates perfectly with TravisCI to provide Code coverage. It seamlessly integrates with GitHub too. Code coverage should now be published on Coveralls each time TravisCI builds your project! VersionEye is another cool badge to add to your Project Github page. It tracks the status of your project dependencies and notifies you when dependencies are out-of-date. And, even better: VersionEye, TravisCI and Coveralls are free for open-source projects! It’s amazing to see how many companies are now offering free services for open-source projects. After all, who can decently create products without using open-source libraries? I would like to thank Yegor Bugayenko for his excellent article who inspired me to write this one. 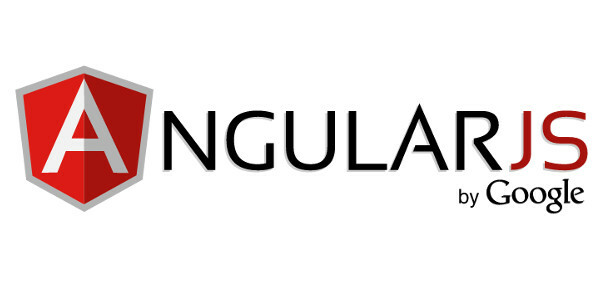 Quick AngularJs tutorial on how to create a custom validation directive with ng-messages. How can you tell that a web developer is working? A blog’s creation guide, from Jekyll base theme to Boostrap4. Using Grunt/Bower and hosted on GitHub pages. 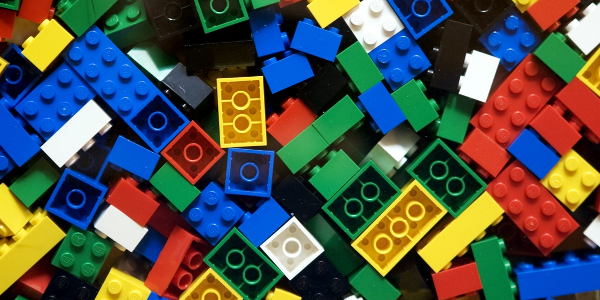 Learn how to use D3.js to manipulate DOM elements to match evolving data. An animated guide to the enter/update/exit concept. Quick AngularJs tutorial on how to create and test a ‘domain name’ filter.